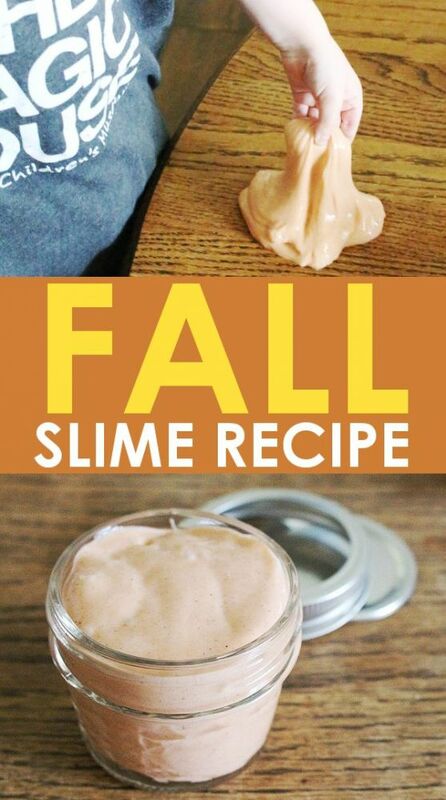 Easy Slime Recipe for Fall - No Borax, No Contact Solution! 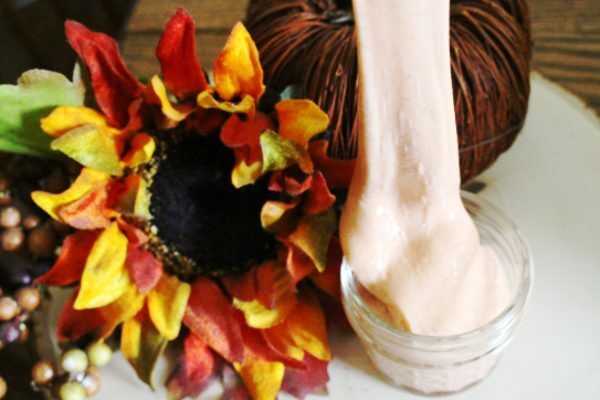 This super fast and easy fall slime recipe is a wonderful way to enjoy the fall season! A fun fall sensory activity for any age! 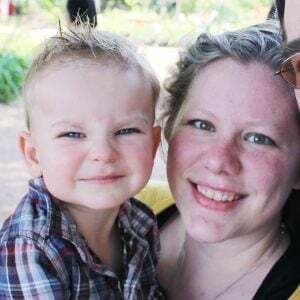 Since my son discovered slime for the first time a few months ago, it’s been hot and cold running slime recipes every day! 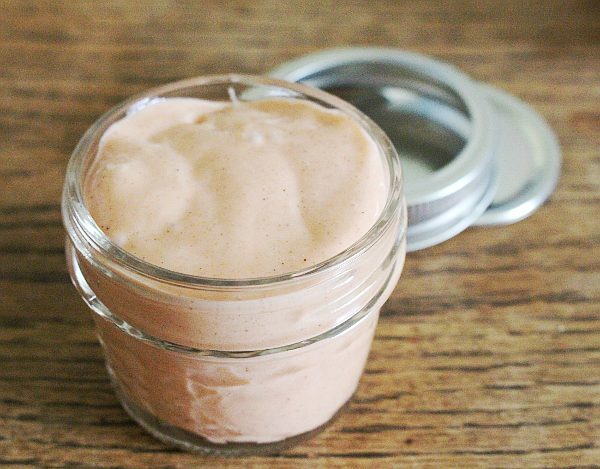 We’ve tried all sorts of color and scent combinations, and one of our recent favorites was this easy fall slime recipe that can be either cinnamon or pumpkin spice scented! With just two main ingredients it comes together perfectly every time and doesn’t use any borax or contact solution! For this recipe we use equal parts white glue and Stay-Flo liquid starch. We used 1/2 cup of each for the perfect amount glitter slime for small hands! Additionally, we added 4 drops of yellow food coloring and 2 drops of red which gave the slime a nice subtle orange color. You could double it for a darker orange. Simply add all the ingredients to a bowl and mix well. 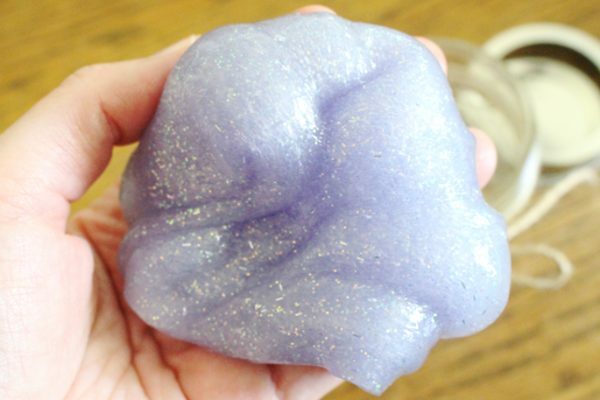 As with the fairy glitter slime I shared recently, you will need to knead the dough by hand, stretching and pulling it, until it’s fully combined. If it’s too sticky for your preferences, just add a little bit more starch to the bowl, drag the slime through it, and knead again. Repeat if necessary! This activity is great for children 2 years old and up, but please remember that children who still put items in their mouths should not play with slime! When you’re done playing with the slime, store it in a container with a lid. 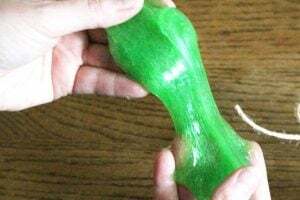 This slime recipe lasts for several weeks if stored properly. I still have slime we made 4 months ago that is still perfectly fresh since we stored it in a glass mason jar! We gift them that way too! These half-pint mason jars are the perfect size for little slime gifts! Great for classroom gifts, Christmas gifts, or Valentine’s Day gifts! 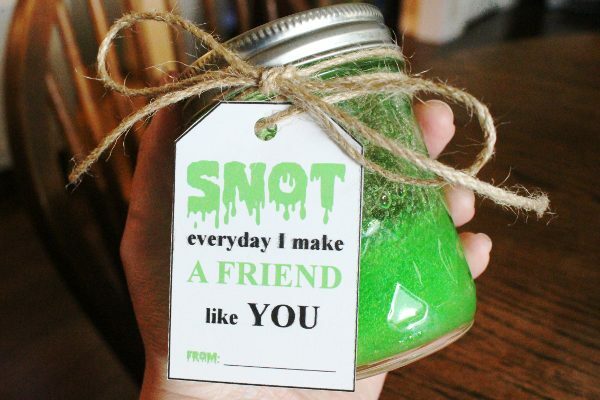 Or give them as party favors at a birthday party! Add ingredients to a bowl and mix well. 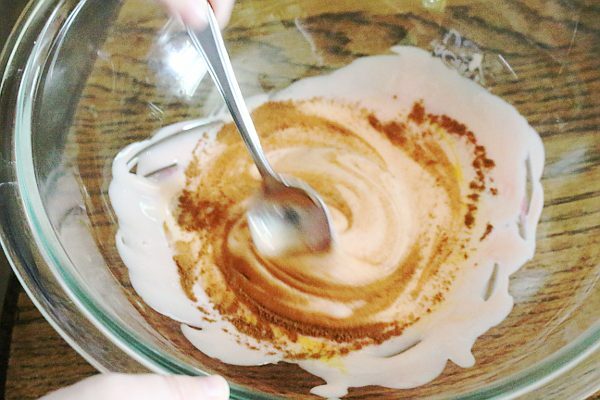 Once mixed, remove from bowl and knead with your hands until it is no longer sticky. This may take a few minutes. If after kneading the slime is still sticky, pour a tablespoon of starch into the bowl and drag the slime through it. Knead until well combined. Repeat as needed. 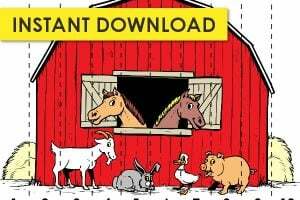 Store in an air tight container until too dry to play with (several months).